I recently received the final kit in a Tarte TSV series called Glow Your Way To Gorgeous, and since it’s been one of my favorite QVC TSVs ever, I thought I’d share the details so anyone who doesn’t realize the value of the kit can get a better understanding. The first two kits in the series are actually still available on QVC.com here and here so this kit may show up on the website as well. Some of the individual pieces are also available in other Tarte kits if you’re interested. 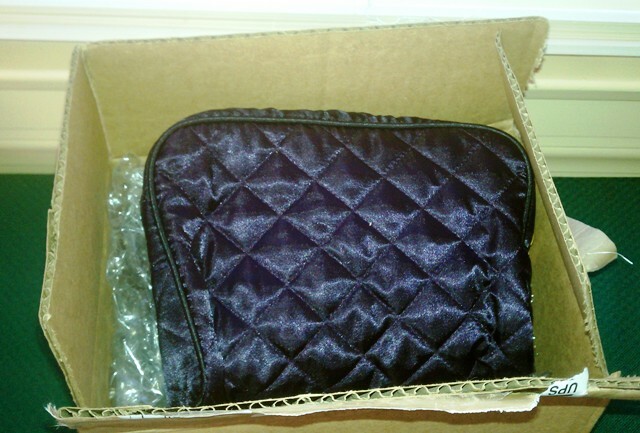 The kit contains six full size products, two brushes, and a quilted makeup bag. The makeup items include the Maracuja Creaseless Concealer (available in several shades – I chose Fair), smolderEYES Amazonian Clay Waterproof Liner in Brown, emphasEYES Amazonian Clay Cream Eyeshadow in Pink Champagne, Lights, Camera, Lashes! Mascara in Black, Amazonian Clay 12-Hour Blush in Dazzled, and the LipSurgence Lip Luster in Obsession. 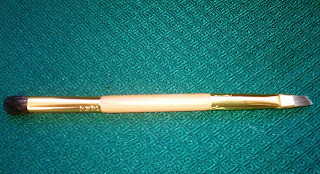 The brushes are a large, fluffy powder brush and a double-ended eye brush that features a slanted liner brush on one end and a domed shadow brush on the other. I paid $49.92 (plus S/H) for each kit, and when you consider that the blush retails on its own for $25 and the LipSurgence goes for $24, it’s like I got the concealer, liner, cream shadow and mascara for free – not to mention the brushes and the bag. That’s a pretty phenomenal deal. As I mentioned, this is probably my favorite TSV of any brand ever because I love every product in the kit. This final installment may be my favorite of the series because the colors are all beautiful. I’m not going to do a full review since I’m not sure you’ll be able to find the kit or its individual components in the future but I’ll post some swatches and give you a brief rundown. Terrific concealer for under the eyes because it’s lightweight but covers everything. The Fair shade has a peachy undertone so it covers up dark circles beautifully. You can buy this on its own at QVC.com, and I see some sellers on Amazon have it as well. 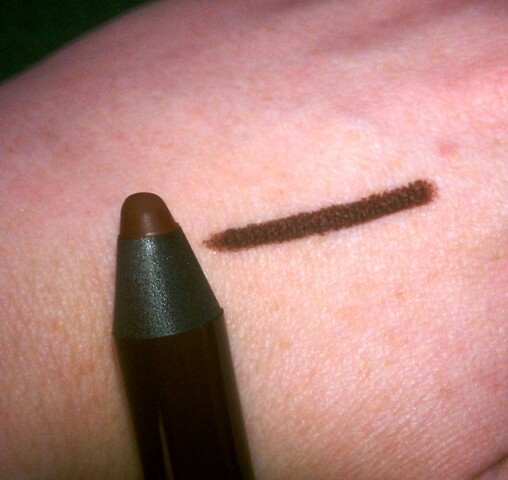 I’m not really a fan of fat eyeliners like this because I have a hard time getting a neat, straight line with them. The previous liners in these kits were a purple and charcoal shade that were light enough to use as colored bases under powder shadow. This brown is too dark and rich for that, but it does stay put really well so I’m trying it out on my waterline and liking it so far. One of my favorite cream shadows. 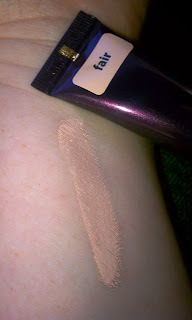 They seem to have a slightly drier texture that helps them stay put, but they still blend really easily too. 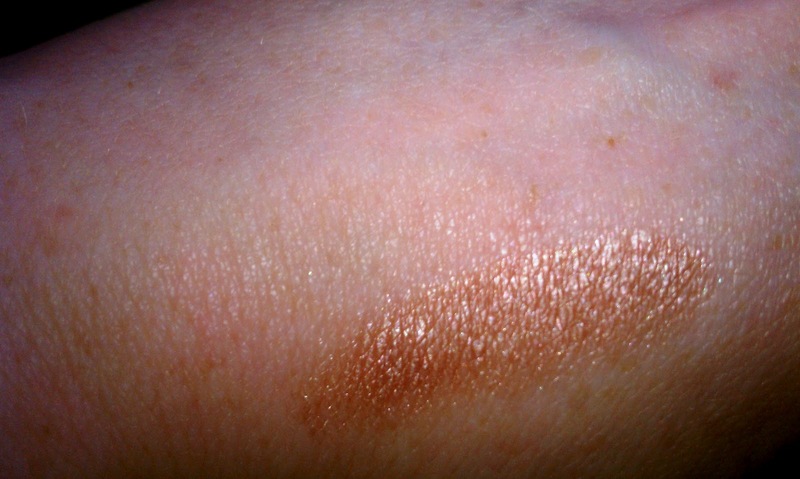 This is a lovely pink champagne color that’s similar to Urban Decay’s Sin Shadow Pencil, though the Tarte shadow is a warmer color. 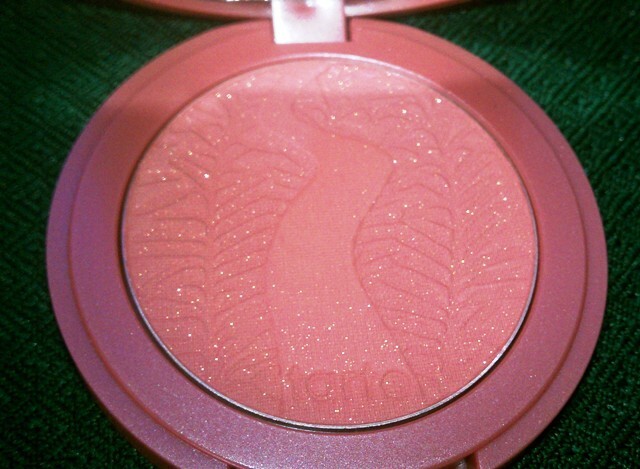 No doubt, you know how fabulous these blushes are already. I know this shade looks scary shimmery in the pan, but the glitter doesn’t translate to your cheeks. 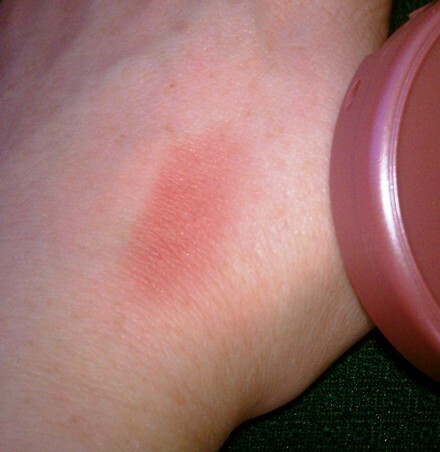 The result is beautiful berry flush that’s slightly darker than most of the blushes I normally wear and yet it looks pretty and natural on me. LOVE it. If you haven’t tried these before, they’re a kind of a cross between a gloss and lipstick. The Lusters have a slightly shimmery finish, which I like. 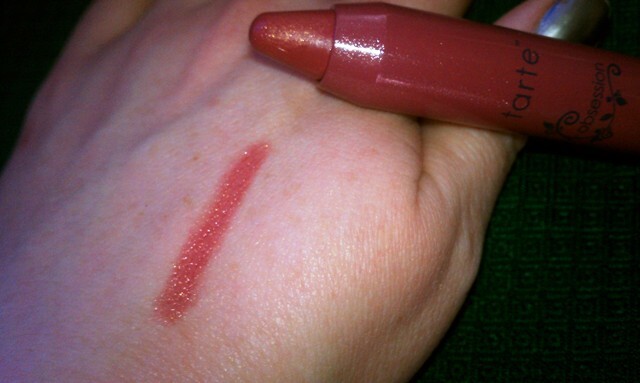 This shade is similar to the blush color – a beautiful rosy berry shade. Love this brush for finishing powder – super soft and fluffy so you just get a light dusting of powder. I’m not really a fan of double-ended brushes because of the problem that they present in terms of storage. 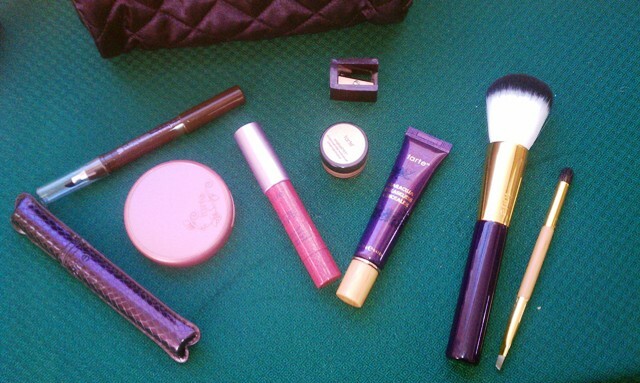 But I do usually put them aside for travel so I don’t have to lug as many brushes around with me. This one is fine – though the domed end actually popped off when I took the brush out of their plastic wrap. I super-glued it back on, so no big deal.